Whether your air conditioning system is nearing the end of its service life, or it is just a few years old, friction, heat, and household dust can combine to cause problems for your system, from a broken blower fan belt, to a frozen evaporator coil or compressor failure. When you need help with an air conditioning system in the Avon area, look no further than our team at Service Plus Heating, Cooling & Plumbing. From County Road 500 East to Raceway Road, contact Service Plus at 317-434-2627 for AC repairs anywhere in the Avon area! Sudden increases in energy usage: An air conditioner that is not running properly can cause your energy usage and utility bills to increase suddenly, as the system has to work harder to keep your home comfortable. Startup problems or tripped breakers: If the compressor is drawing too much current, it can cause problems like tripped breakers and dimming lights, or the system may not start at all. Frozen coils: If the evaporator or condenser is freezing up, it could indicate airflow or refrigerant problems. Water leaks: Moisture removed from the air is disposed of through the condensate drain. If the drain clogs, water may leak from the AC unit or the system may fail to start. Strange smells: Musty or sour smells may indicate that bacteria is growing in the system, and some strains can cause illnesses. Dirty air filters: Filters that need to be changed often may indicate problems with the AC unit or ducts. Filters should last 1 to 3 months, depending on the type. Poor performance: If your air conditioner cannot keep your home comfortable or you have noticed changes in performance, you should have the system inspected. At Service Plus, we can quickly identify the cause of your AC problems and offer affordable, reliable solutions. We service all common types of AC equipment, including central air conditioners, heat pumps, ductless mini splits, and more. To have your system inspected, contact our team today! 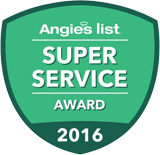 Whether you live in Hollowbrook, Whispering Pines, or Timber Bend, you can depend on our team at Service Plus for fast, reliable AC repairs anywhere in the Avon area! Contact us today at 317-434-2627 to schedule an appointment!